MPs have set out details of their plan to consider other Brexit options, as Theresa May was warned more ministers could quit unless she changed course. The Commons will begin voting on alternatives on Wednesday, in a process likely to continue into next week. MPs will fill out a series of ballots testing support for different ideas. 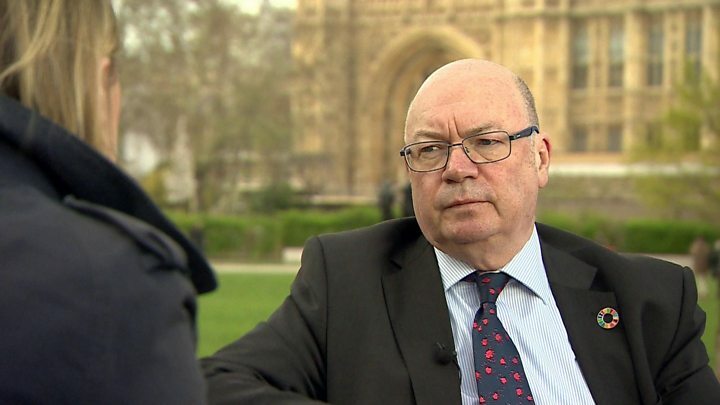 Ex-minister Alistair Burt said the PM must recognise a “different answer” was now needed but ex-Brexit secretary David Davis warned of impending chaos. MPs took the unprecedented step of voting to seize control of the parliamentary timetable on Monday, in an attempt to end the deadlock over the terms of the UK’s exit. It will be up to Commons Speaker John Bercow to decide what propositions are voted on, although they are likely to include proposals for a “softer Brexit”, such as a customs union with the EU, a simple free trade agreement with the EU and another referendum. 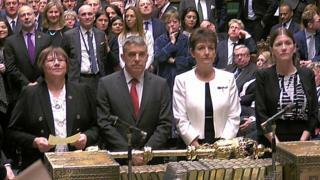 Voting will take place at about 19.00 GMT, with the results announced by Mr Bercow later that evening. The process is likely to continue on Monday as MPs seek to winnow down options which could command majority support in Parliament. Ahead of the unprecedented series of votes, Mrs May has been warned that other ministers could quit unless she listens to the concerns of MPs who are prepared to stop a no-deal exit at all costs. Mr Burt, one of three ministers who quit on Monday to back the so-called “indicative votes” plan, said he still backed the prime minister’s deal but she had a duty to look at other options. “My advice to the prime minister would be to recognise that her duty now is perhaps to find a different answer than the one she has tried to find,” he told the BBC’s Laura Kuenssberg. But former Brexit secretary David Davis said the PM’s deal was better than the alternatives and had a “decent chance” of getting through Parliament if put to the vote again. The PM has signalled she will try to bring her deal, which has been heavily rejected twice, back to the Commons for a third time later this week but only if she believes she can win. Some Tory Brexiteers have now suggested they could support it in order to prevent the risk of a long delay to Brexit. But the Democratic Unionists, whose 10 MPs prop up Mrs May’s government, urged Tory MPs to “stand firm” in their opposition unless there were “significant changes”. Tuesday: Theresa May met her cabinet. Tuesday had been considered as a possible day for the so-called third meaningful vote on Mrs May’s withdrawal deal. But, on Monday, the PM said the deal did not have enough support to get through the Commons “as things stand”. Why is Minnesota covered in brown snow?